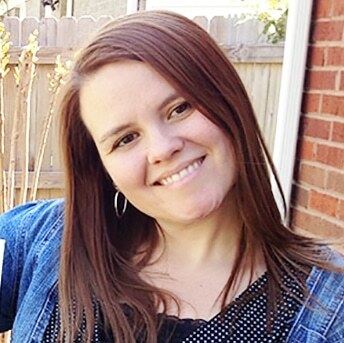 Conagra Brands and General Mills sponsored this post, but the opinions are my own. Are you gearing up for the holiday season? We are actually in the middle of a major move across town as I write this, but I can’t wait to be in our new home just in time for the holidays. We have a lot of fun holiday parties in the near future and I love that they are always a pot luck type of thing. I’ve had these little Snow Capped Berry Pie Bites in mind for a while, but I didn’t know just how great they would turn out until now! Would you believe me if I told you that they are just 5 ingredients including the Reddi-wip Fat Free whipped topping! 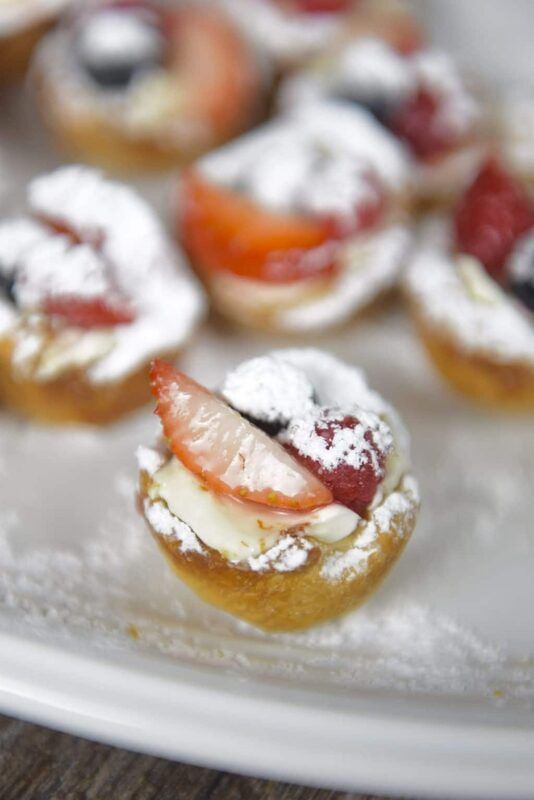 One key to these little pie bites is simplicity! I didn’t add anything to the cream cheese like sugar because I knew I would be topping them with a generous sprinkling of powdered sugar to make it look like they had snow! The little pie cups are made easily with refrigerated Pillsbury™ Pie Crusts that I pressed into a mini muffin pan and baked. Once the Snow Capped Berry Pie Bites are plated I just add a dollop of Reddi-wip Fat Free Whipped Topping on top to give it a little more sweetness and creaminess. 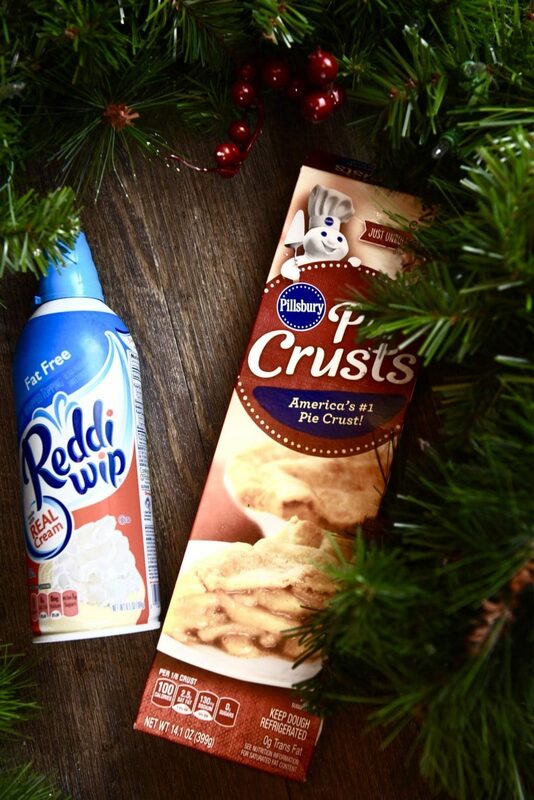 What pie couldn’t use a little Reddi-wip? It’s the perfect pair for pie! This recipe is perfect for a crowd and makes a generous amount with just a handful of ingredients. 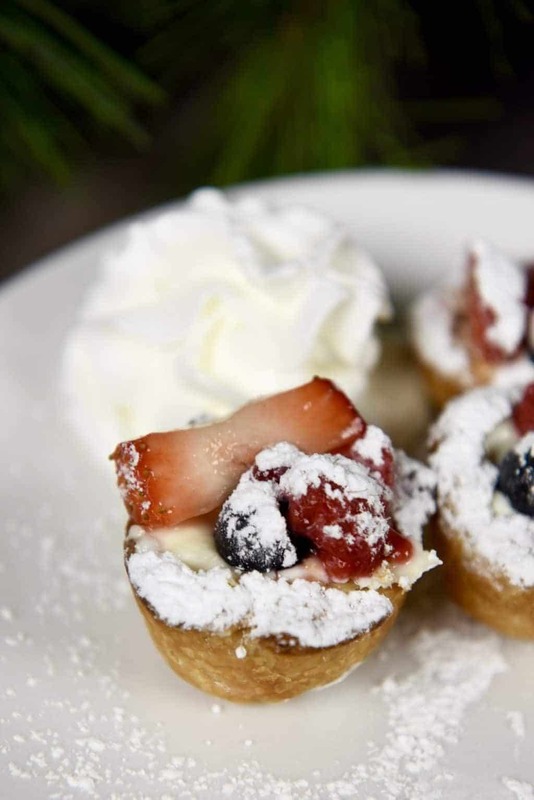 Little pie bites have berries, cream and are topped with powdered sugar to look like they are covered in snow. 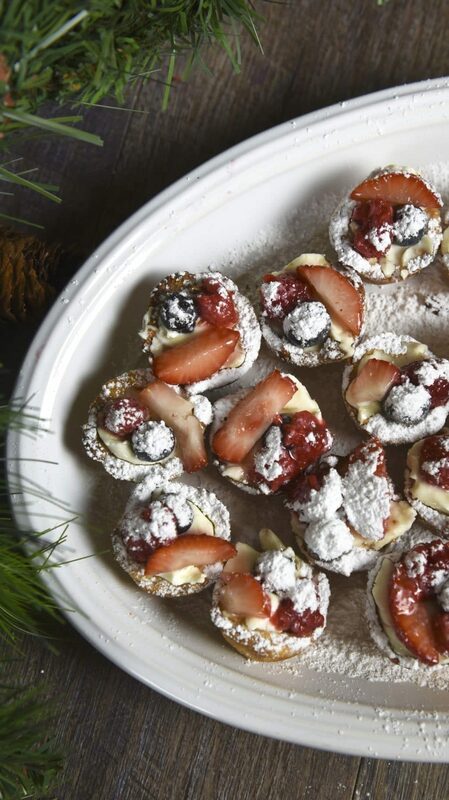 These are perfect to serve up at any holiday party! Preheat oven to 450 degrees F. Take a mini muffin pan and press a small portion (around 2 tsp.) of the pie dough into each cup and press the middle to form a cup. Bake the pie dough in the pan for around 15 minutes or until the pie cups are a golden brown color. Once the pie cups are cooled down... fill them to the top with cream cheese. Add the berries on top and put them on the plate that you will use for serving. 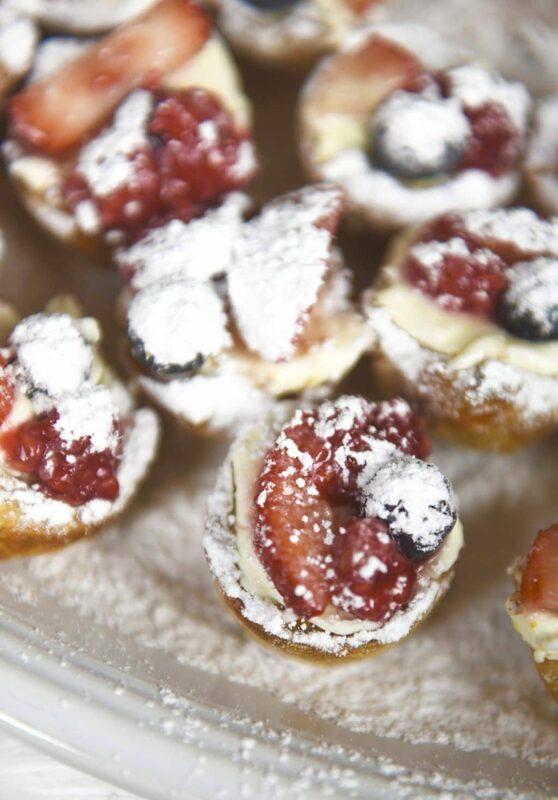 Sprinkle them with powdered sugar making sure that you do this right before serving will ensure they will look great. They are still great to eat even if the sugar is melted down. Add a dollop of Reddi-wip to the plate or right on top of each cup before eating and enjoy! 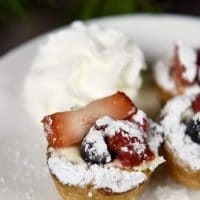 These Snow Capped Berry Pie Bites with 5 Ingredients are easy to make and taste absolutely amazing! We can’t wait to make them again and again!